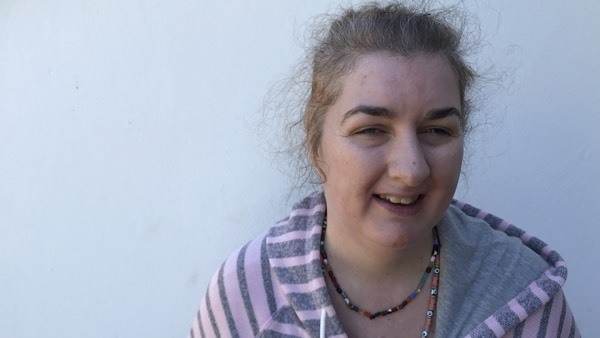 Fernley Resource Centre provides a unique and specialised day support service for adults with learning disabilities, people who have complex and multiple disabilities and associated health care needs. The Resource Centre has been purposefully designed to be vibrant, fun and stimulating for the people we support and is located within the beautiful surroundings of the pinewoods. Enjoyment, engagement and achievement are at the heart of everything we deliver within Fernley. Using person centred approaches our staff team engage with the people we support in a way that makes sense to them, reflecting their unique needs, choices and aspirations. The staff team within Fernley are experienced with a wide skill and knowledge base, creative and intuitive in their approach to supporting people. As a staff team we are able to meet the needs of people with complex health needs. It is a really fantastic place to work and our staff team are committed to ensure that people we support have a good day when they come to Fernley. The training and development opportunities for our staff team are excellent. Fernley Resource Centre has a number of base rooms where people are supported by a consistent staff team and a number of dedicated activity rooms. We have two specially designed sensory rooms which provide both relaxing and stimulating environments with lighting effects. We have a fully equipped hydrotherapy pool on site with a trained and experienced team who are able to deliver both therapeutic and fun sessions. Our American themed diner provides nutritious meals and provides us with an entertainment space which we make great use of with lots of fun themed events running throughout year. Fernley Resource Centre is currently available between the hours of 8.30 to 4.30 Monday to Friday, and we are working to extend our opening hours. Horticulture, healthy lifestyles and sensory development. The people we support have the opportunity to work towards a nationally recognised qualification – the entry-level qualification in Personal Progress, through Pearson Education, and part of the Qualification Credit Framework [QCF]. This includes communication skills, independent living, developing community participation, social skills, engaging with the world around us, art, dance, drama, horticulture, and health and fitness. Sensory development is key to engaging with many of our learners who experience the world around them in a primarily sensory way. At Fernley we use a range of creative, inclusive and interactive learning opportunities to stimulate and develop the senses of the people we support. This supports people to develop social interactions, their emotional wellbeing and a sense of belonging. We use Intensive Interaction approaches to develop the fundamentals of communication with people who are at an early stage of communication development. At Fernley it is important to us that the people we support are involved in consultation, decision making and shaping the delivery of the service we provide. The “Involve Me” sessions look creatively at how to increase the level of involvement for people we support. Communication development is vital in achieving these aims and we use creative communication including information technology, multi-media and easy read documentation. Every month we have a “Speaking Up Meeting” which enables people we support to have a voice and be heard about their service.